The Mosedale 5 is a spacious and comfortable, easy to pitch, fibreglass-poled, tunnel tent that offers a comfortable home from home on the campsite for all the family. 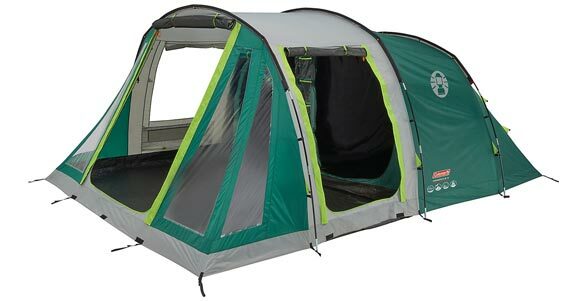 The Mosedale 5’s simple yet stable, tunnel construction means it can be easily set up in minutes. Once erected, the tent’s large living area easily fits a family-sized table and chairs and a PVC window with cover offers a balance of light and privacy. A large BlackOut Bedroom complete with removable room divider offers sleeping flexibility. Multiple entrances offer easier entry and exit in inclement conditions and reflective guylines reduce the risk of tripping. The tent’s flysheet has an impressive hydrostatic head rating of 4500mm for guaranteed wet weather protection. Wind responsive fibreglass poles are the ideal partner for aerodynamic and noise-reducing, mesh pole sleeves. A robust, fully integrated PE groundsheet guarantees clean and dry camping.